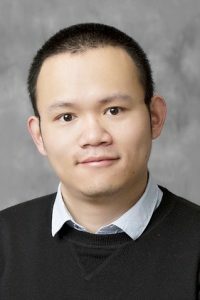 Dr. Cao’s research focuses on the design and implementation of large-scale local and global optimization algorithms to solve problems that arise in diverse decision-making paradigms such as machine learning, stochastic optimization, optimal control, and complex networks. His algorithms combine mathematical techniques and emerging high-performance computing hardware (e.g., multi-core CPUs, GPUs, and computing clusters) to achieve computational scalability. His goal is also to make these developments accessible to academic and industrial users by implementing algorithms on easy-to-use and extensible software libraries. Furthermore, Dr. Cao has applied the algorithms and tools to address engineering and scientific questions that arise in diverse application domains including conflict resolution in energy system design, robust control of crystallization systems, predictive control of wind turbines, power management in large networks, and image classification for contaminant detection. For publications, visit his website www.yankaicao.com.